With the advent of new content and major improvements in the world of Eorzea, Square Enix has launched a new promotion for Final Fantasy XIV Online: A Realm Reborn, which is destined to capture the attention of veterans. From March 26th, until May 6th, we will be able to play for free without interruption for four days after access. Those who have a suspended or banned account will not be able to participate, for obvious reasons. This possibility is also a good opportunity for users eager to return to MMORPG after a long period of abstinence. "The patch 4.2 series presents a plethora of new challenges across the realms of Eorzea and Othard", can be read from an official note by Square Enix. 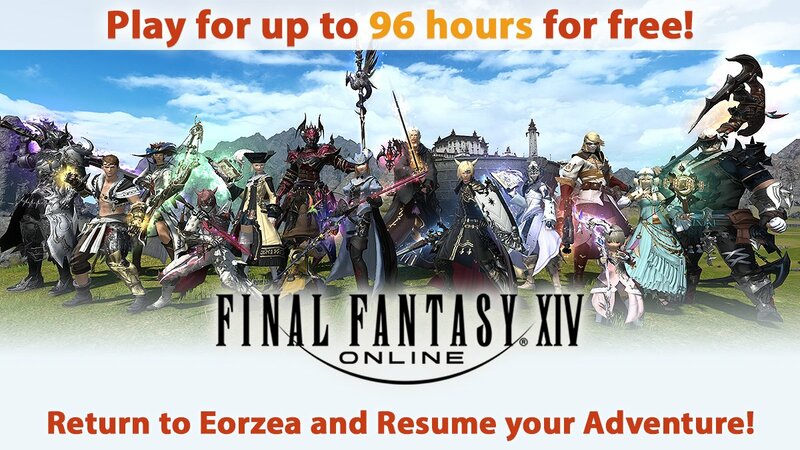 "In the hope that would-be adventurers can experience all that FFXIV has to offer, we are pleased to announce the latest Free Login Campaign! If you or any of your friends are currently taking a break from your adventures, you won't want to miss out on this limited-time event!" Final Fantasy XIV is currently available on PC and PS4. In recent years, thanks to the Heavensward and Stormblood expansions, the game has seen an increasing number of players. Naoki Yoshida, the director, plans to support it for at least ten years.